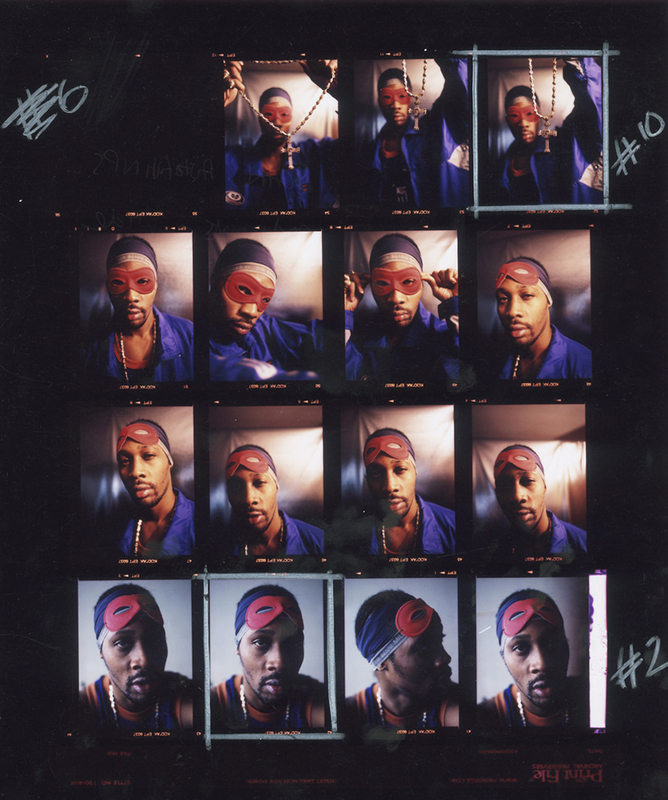 I was reminded earlier of the RZA's song 'Tragedy,' which was a slept-on gem off the Rhyme & Reason Soundtrack. It was released in 1997 and pre-dates the images above from a contact sheet by photographer Eddie Otchere (I just think it's dope). The Rhyme & Reason soundtrack also had 'Uni-4-Orm' by Ras Kass, Heltah Skeltah & Canibus, as well as joints from the Lost Boyz, KRS, Busta Rhymes & A Tribe Called Quest, E-40, and among others, an ill record called 'The Way It Iz' by Guru (R.I.P. ), Lil' Dap & KaiBee that some people may remember me discussing over the years. Back in the winter of '96, I visited The Wiz in Manhattan on 57th street and 3rd Ave - I can't remember what I bought - they hit me off with a promo VHS copy of the video for 'Tragedy' before the album was out. I watched that VHS tape 30-40 times, lol. I hadn't seen the video for 20 years until today, and it's still as ill as I remember! Wu-Tang Forever came out a few months after Rhyme & Reason, but I was still hype off this song. I pre-ordered the album and the store gave a $3.00 coupon. I met my first "serious" girlfriend on the day I went to the store to pick up my copy, lol. Nostalgia strikes again. The track was produced by True Master & co-produced by the RZA, check it out below.